The Champion is back. The best pistol shooter ever, the three-time Olympic Champion and five-time Olympic medallist Jin Jongoh of Korea won today's 10m Air Pistol Men event. 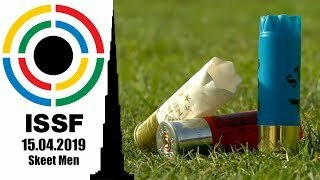 And he did it by beating a shooter who seemed to be unbeatable in the last weeks, Andrija Zlatic of Serbia, the winner of three days ago's 50m Pistol Men event. The 33-year old Korean shooter from Gyeonggido was the only one who was able to keep an average of more than 10 points per shot, during today's final, ending up on the highest step of the podium with 202.2 points. And it was a real comeback. 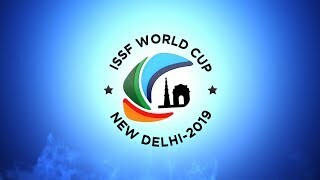 Jin had indeed won his last ISSF World Cup Stage here in Munich, in 2012, before the Olympic Games. Then, from that golden final, he had never finished on the podium again. “I will take some time off, after the Games” he said in London. But now that a new Olympic cycle is starting, he said to be ready to take the challenge. Jin upset Serbia's Andrija Zlatic, 35, to win today's Gold. 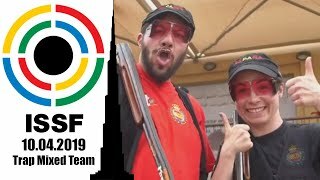 The Serbian athlete had won the 50m Pistol Men event just three days ago, as he had done also at the previous ISSF World Cup Stage in Fort Benning, earlier this month. Today, he could not keep up with Jin, finishing in second place with 199.6 points, after closing his match with two 9s. 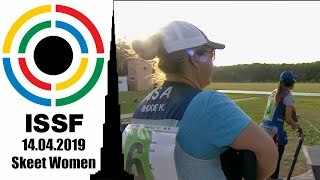 Another shooting senator came back atop of an ISSF podium, today. 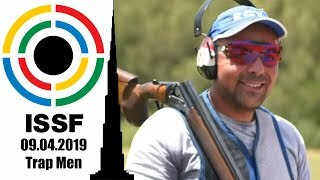 Portugal's 49-year old Joao Costa, a four-time Olympian, secured the Bronze medal with 176.9 points, overtaking the unlucky Belorussian shooter Yury Dauhapolau, who closed the match in fourth with 155.7 after leading the first part of the final. His last two shots, a 8.5 and a 8.8, turned out to be fatal. And today's wasn't a lucky day for the Chinese team. Wang Ziwei led the first part of the match, sliding then down in fifth place and being eliminated with 137.0 points, after scoring a frustrating 7.7 on his last shot. His teammate Pang Wei, the 26-year old 2008 Olympic Champion, finished in seventh place, with 95.9 points.